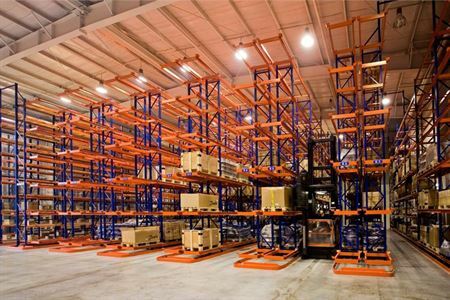 Storeplan’s Schaefer interlock pallet racking systems are designed around the operating tolerances of Very Narrow Aisle (VNA) equipment with aisles marginally wider than the load. Such structures must have a high level of rigidity and accurate manufacturing tolerance. 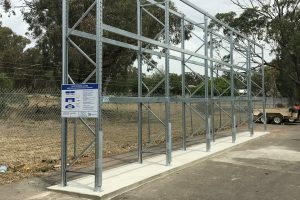 Some facilities utilise outdoor spaces to maximise their existing storage capacity. When you store your supplies and equipment outdoors, however, you risk damaging them. Unfit storage systems can deteriorate and collapse when exposed to the elements or placed under tough conditions. With our galvanised pallet racking, you minimise the risks of damage. 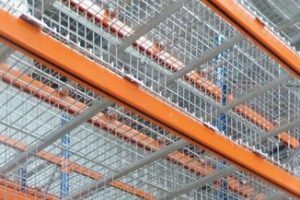 Storeplan’s outdoor galvanised pallet racking system is specifically designed to be installed in outdoor environments where conditions are harsh and variable. 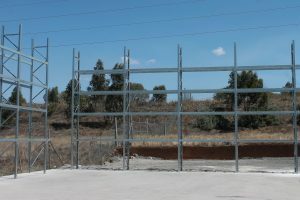 This system utilises a pre-gal upright frame system with fully hot-dipped galvanised beams ensuring your purchase is an investment worth making. *Upright Frame sizes are the same as Selective Pallet Racking. In warehouses, pallet racking damage is a major Workplace Health & Safety Issue. Storeplan has a large variety of options available to keep your racking from being damaged, which keeps your staff & equipment safe. Standard & custom sizes available. Suits all standard racking types, sizes and configurations. Ideal for all storage including coolrooms and freezers. Does not allow dirt/ dust build-up, won’t twist or sag, increase lighting and access. Durable & maintenance free. Ideal for smaller parts or goods storage, nonpalletised items or order picking applications and storage & organisation of stock. Strong and low maintenance. Creates a safe enclosure for small parts and loose items. Also prevents products rolling off and getting damaged. 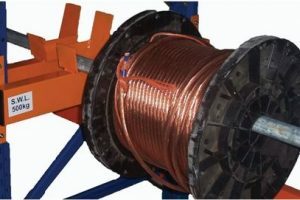 Custom manufactured in-house at Storeplan to suit cables of all different sizes & weights. A safe and efficient way to store & easily access your cables. Customised, high quality alucabond signs which are screen printed for a clear, quality finish. Designed to be screwed to the ends of racking upright frames to effectively display rack load capacities. Push Back is used as an alternative to Drive-In systems where there are insufficient homogenous pallets for a Drive-In system to operate successfully. 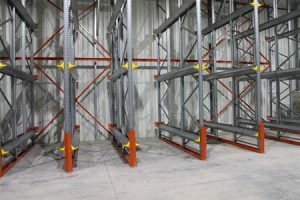 It can offer high-density storage with different pallet types being stocked at each level, but operates on First-In Last-Out (FILO) principles. 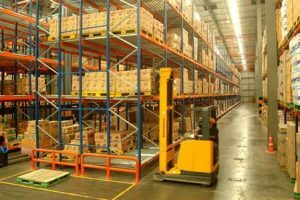 Push Back Racking is used with a cart system up to 5 pallets deep and used with various pallet sizes. Carts are colour coded to aid stock control and identify empty locations. 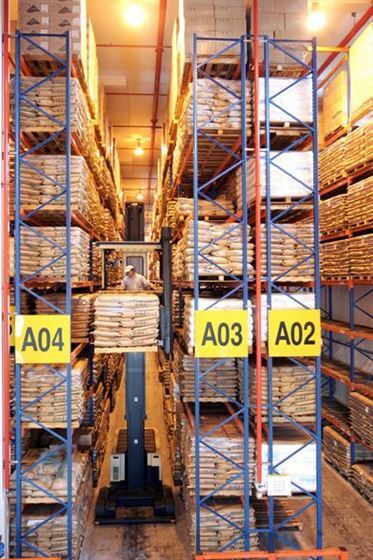 Drive-In Pallet Racking Systems provide maximum storage capacity using the minimum amount of space. It is particularly suited to store very large quantities of homogeneous products. 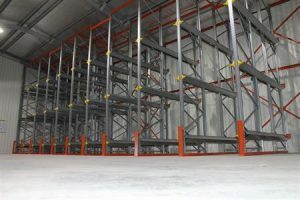 A drive-in system consists of continuous lanes of racking with only a single load and retrieval aisle. Loading and unloading is undertaken by means of counter balance or reach trucks that drive down each lane into the racks. 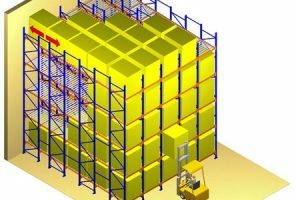 Drive-In racking operates on the system of First-In Last-Out (FILO), therefore it only suits products that are stored in sufficient volume which require multiple lanes to ensure stock rotation. Store very large quantities of homogeneous products.